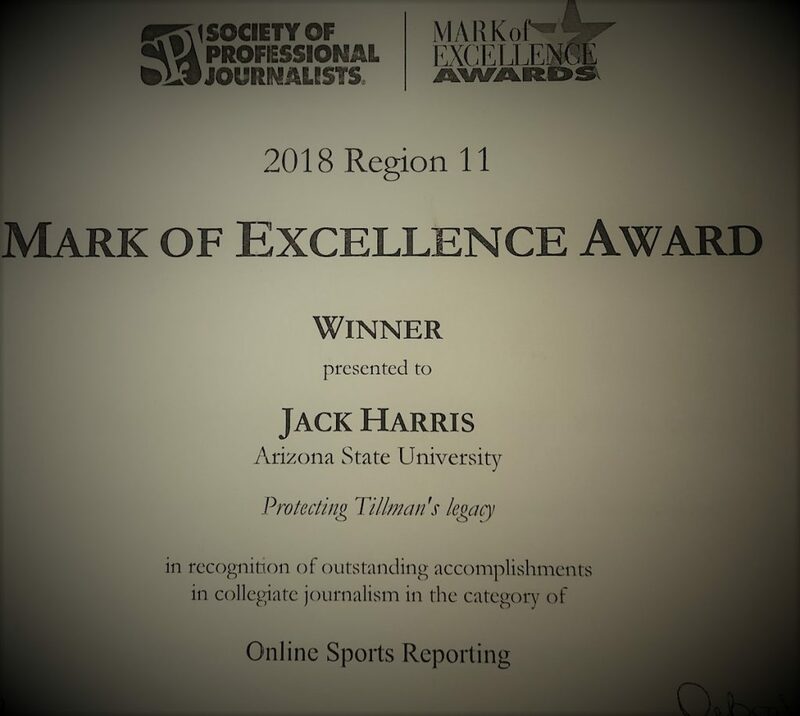 A hearty congrats to my son for winning the Society of Professional Journalist’s Mark of Excellence Award for his touching article about the honorable and late Pat Tillman. 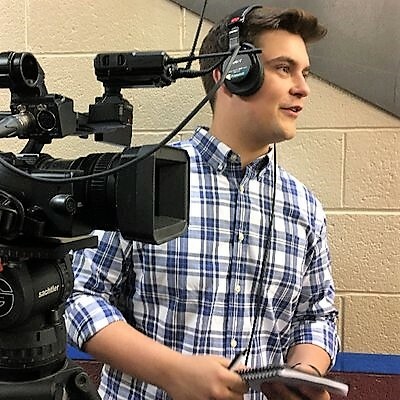 Sports journalist Jack Harris (also my son as I mentioned…#proudmom) traveled to Pat’s hometown in south San Jose, California to conduct heartfelt interviews with those who knew and loved Pat. Jack put his heart and soul into this piece as he wanted to honor Pat’s legacy the way that the Tillman family and friends would appreciate. To win the regional Mark of Excellence award is icing on the cake since this assignment means so much to Jack. You can read Jack’s insightful and thoughtful article about Pat Tillman here. So beautifully done. Congrats to Jack on capturing Mr. Tillman’s legacy to share with today’s readers. A very meaningful assignment for my son about a meaningful man who left more than a professional football career to fight for our freedoms…he also left a legacy. 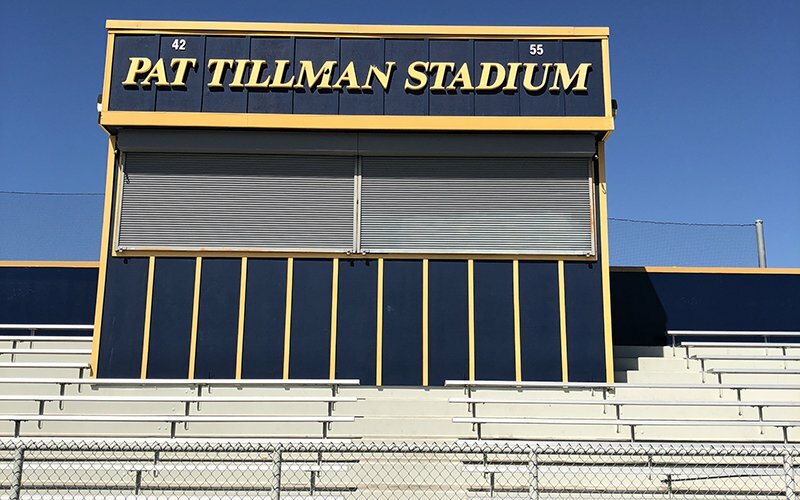 Jack’s article is so interesting because he worked to describe that legacy through the eyes of those who were close to Mr. Tillman. A good read. A meaningful read.